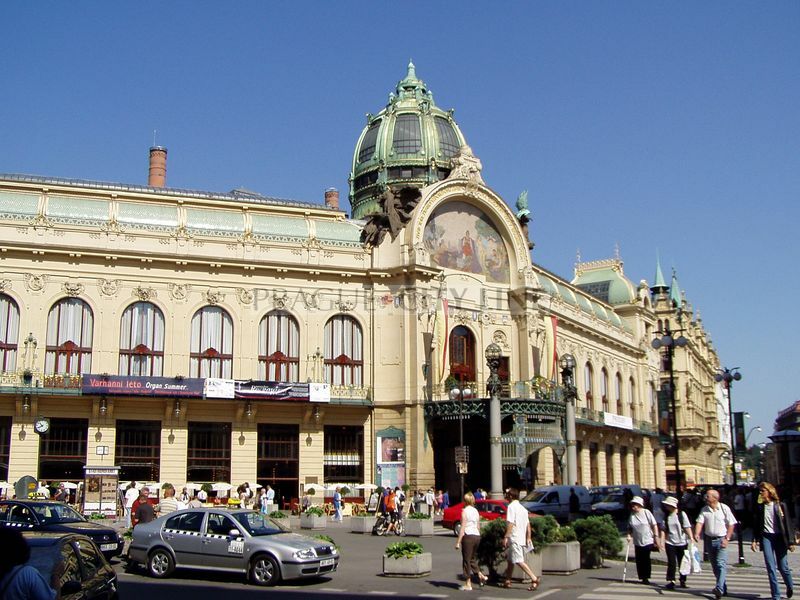 The Municipal House is one of the Prague´s national and cultural landmarks. 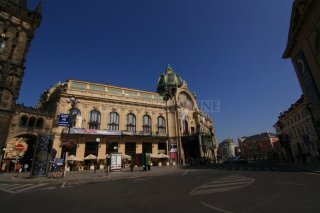 Now we will learn about the Prague´s ceremonial house which belongs among the Art Nouveau buildings with the New-Renaissance elements. 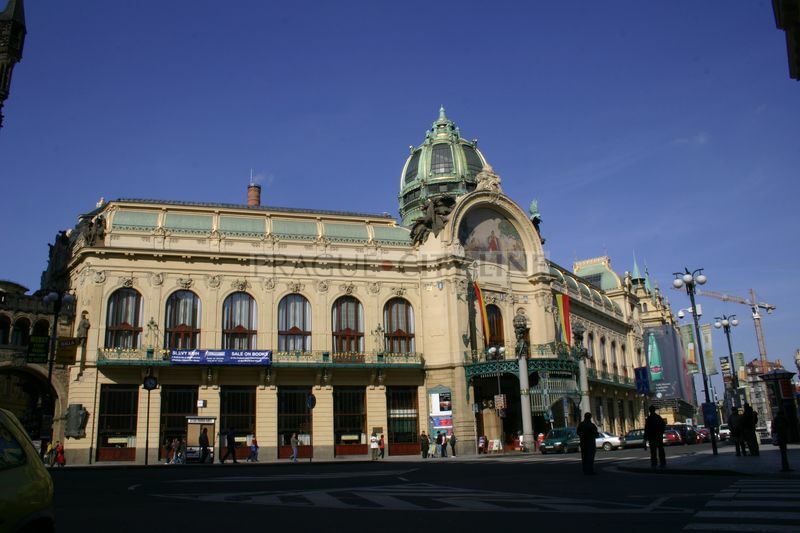 The Municipal House is located close to the Powder Gate on Republic Square ( Náměstí republiky). After the king Wenceslas also Sigismund of Luxembourg, Albrecht II. of Austria, Ladislav Pohrobek, George of Poděbrady and Vladislav of the Jagellon dynasty resided here. The last-named after some time moved from the court back to the Prague Castle. Not too many relics from the royal period have survived until the present times. Perhaps just the name of the neighbouring Královodvorská street and further the gateway into the Powder Gate in Celetná street. The coronation parades of the Bohemian kings used to come out from the Royal palace that´s why the Municipal House is located at the beginning of so-called Royal Route. After we enter the main vestibule through the main entrance we will be charmed by the beautiful marble wainscoting and ornamental mosaic on the floor. On the right we will find the French Restaurant whose appearance is almost original. The unique original wallpaper has been restored and can be found in the elevated lounge. The historical clocks, paintings and chandeliers are another splendid complements. The original tiles, mahogany boxes or benches covered with leather are waiting for the visitors in the opposite Kavárna (Cafe). The vestibule is further connected to the stairway lounge. You can notice e.g. the original cash register or the porter´s lodge at the columns. On the left at the staircase there is the entrance into the New Foyer which serves among other purposes as Cultural and information center and a refreshment buffet. In the middle of the hall we will find the entrance to the American Bar. We need to mention the chance to see the original lamps, imitation marble on the walls, rich decoration in the Main Foyer which is located in the first floor. 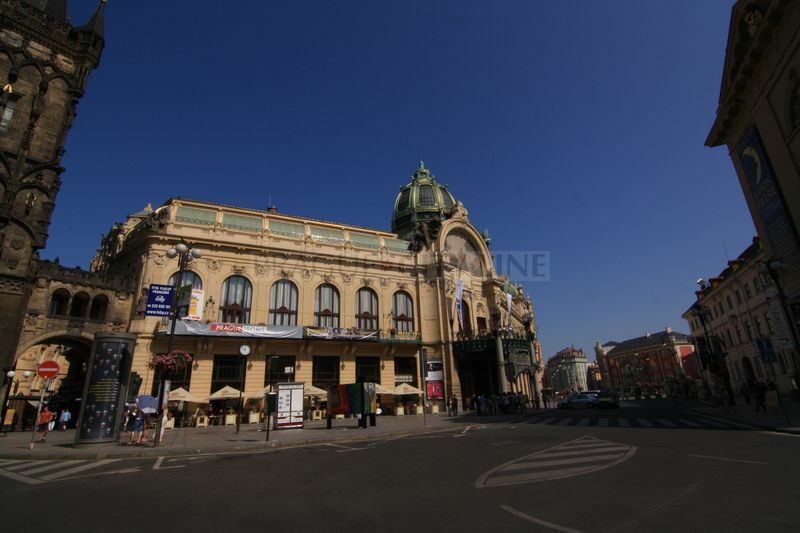 These walls will lead us to the Smetana Hall – to the central premises of the Municipal House which occupy several storeys of the house. The Riegr Hall, the Mayor Hall, the Grégr Hall, the Palacký Hall, the Oriental Room, the Moraviaslovakian Room or Božena Němcová Room cannot be omitted among the other halls and rooms. These premises can also be hired for the purposes of balls or banquets, coctail parties, conferences, congresses, exhibitions or fairs, concerts or fashion shows. 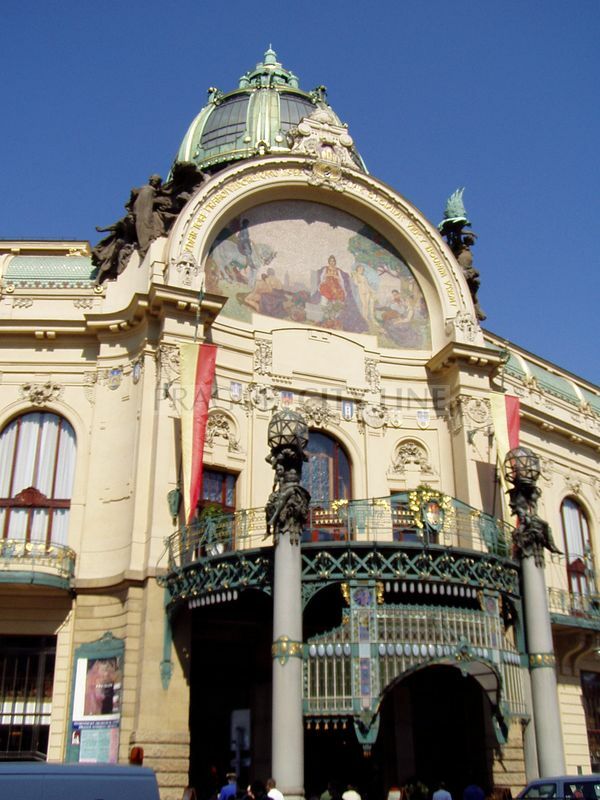 The decoration of the Municipal House was performed by a great amount of the most significant Czech painters and sculptors such as Jan Preisler, Mikoláš Aleš, Max Švabinský, František Ženíšek, Ladislav Šaloun, Josef Mařatka, Josef Václav Myslbek and Alfons Mucha. The visitors and passers-by are attracted not only by the giant construction complex but surely also by the construction elements and sculptural art that created its uique profile. 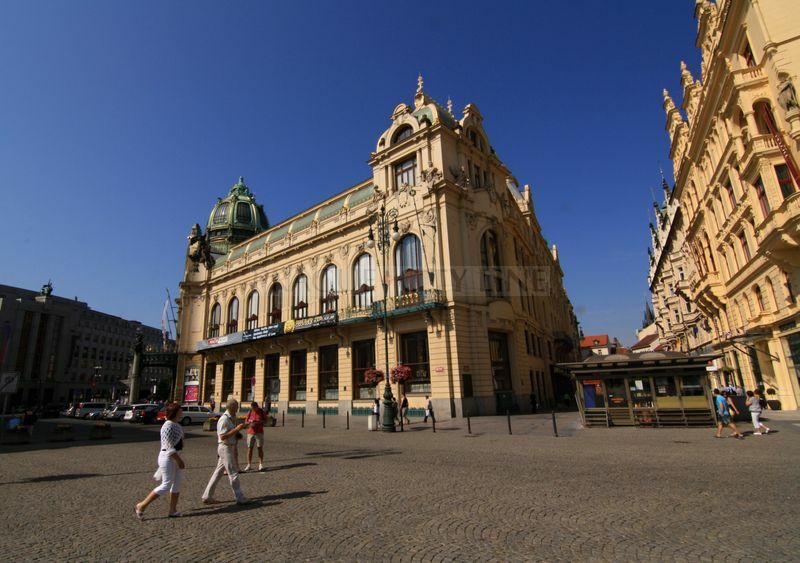 There are allegorical scenes from the history all over the facade, legendary figures, images of Prague and outstanding philosophers. 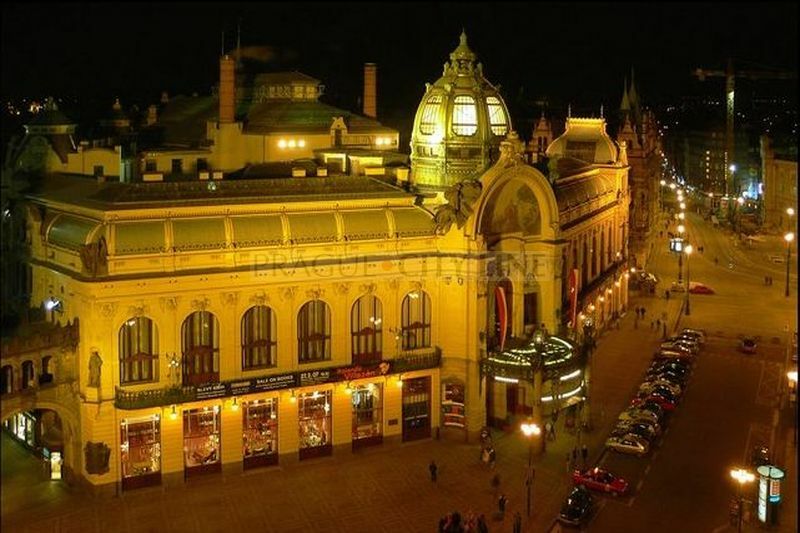 The building is exceptional and admired because of its rich ornamentation. 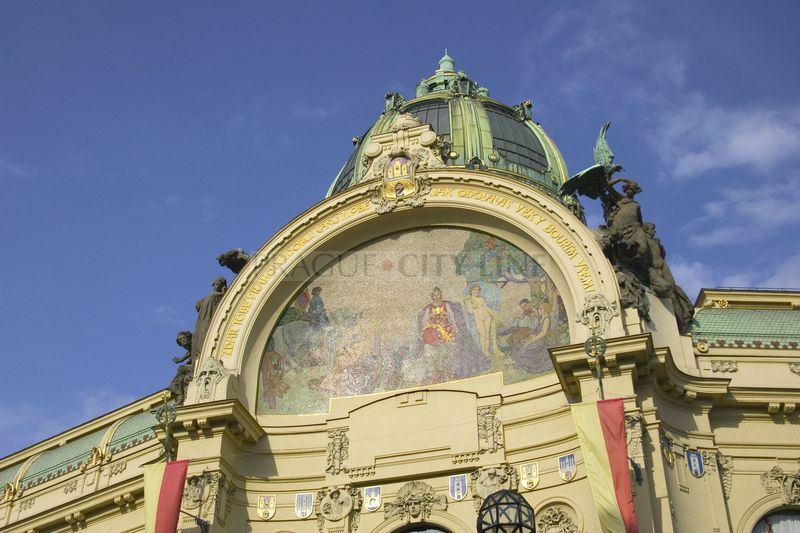 After number of extensive and very expensive reconstructions the Municipal House became after its reopening a very noted centre of the social and cultural life again. The Municipal House is famous not only for its balls and congresses yet for its tours. 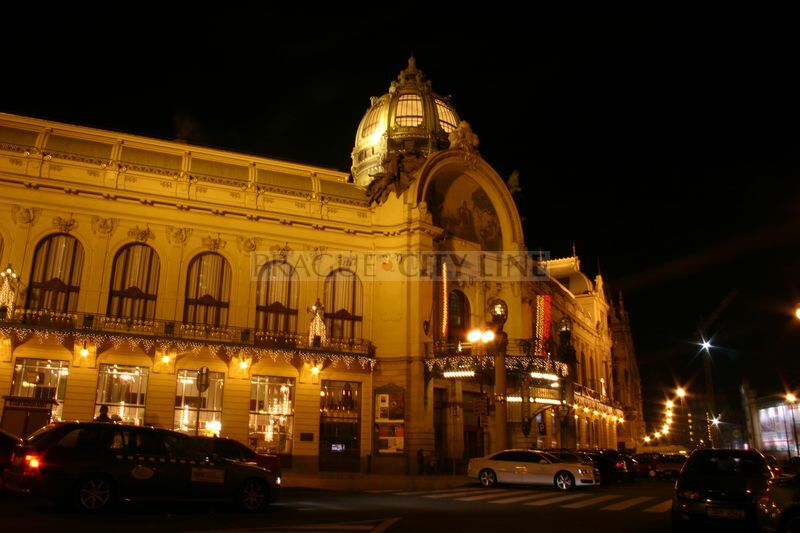 The main points are: Smetana Hall – Sweetshop – Moraviaslovakian Room – Božena Němcová Hall – Oriental Room – Grégr Hall – Palacký Hall – Mayor Hall – Riegr Hall – Sladkovský Hall – Winehouse – American Bar. The price includes a commemorative jeton which you can eventually exchange for a drink in the American Bar. 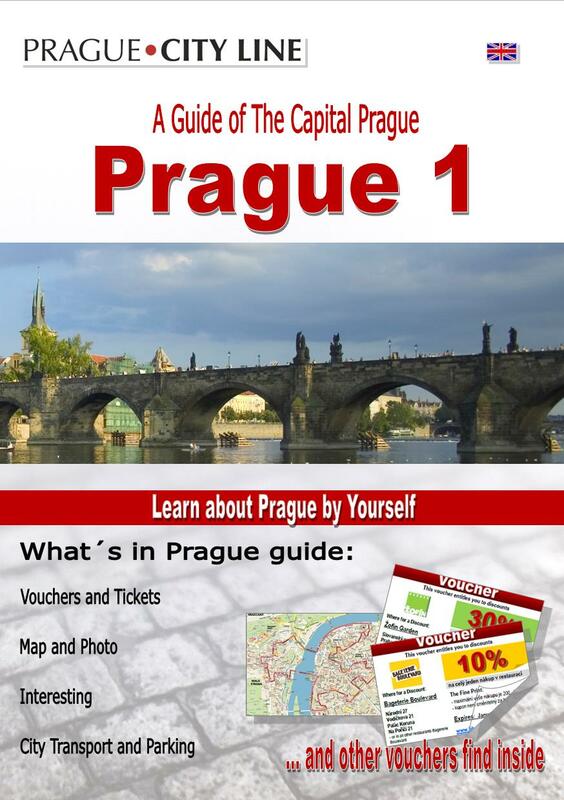 Updated: 9.7.2018 Prague 1 still belongs to one of the most attractive parts of the whole Prague. Probably nowhere else you can find such a concentration of historic monuments and places where the history and romance of bygone times are all around you. Hardly anywhere you can walk on the same paths where were walking Franz Kafka, Wolfgang Amadeus Mozart, and the Golem of Prague. Aktualisiert: 30.10.2018 Enthält RABATT-COUPONS. 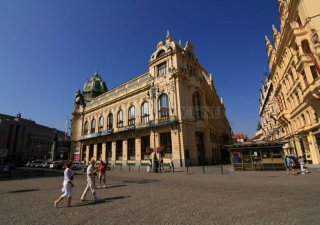 Ihr habt gerade den Reiseführer für Eure Streifzüge durch Prag den Reiseführer ausgewählt, der Euch durch die schönsten Orte in Prag führt. Durch die Orte, die jeder Tourist als Erster besuchen sollte.